When you are 92 years old, it’s quite understandable if you just want to sit back, relax and let others do the work. Don’t tell that to Eleanor Stretz; she’s just about as involved as you can get at St. Charles Borromeo Parish in Bensalem, and that’s just the way she wants it. For openers every morning she drives the two miles or so from her home to the church, where she helps set up for the morning Mass, leads the daily rosary, and then both lectors and cantors at the Mass. In the beginning Stretz would lead the rosary once a week, but as older daily Mass-goers had to stop or died, she picked up their duties. Tuesdays are special days because the parish has Perpetual Adoration, where she will stay an extra hour before the Blessed Sacrament and return for the final hour and the Benediction that follows. If that isn’t enough, she also takes care of the altar linens. Stretz also serves as cantor at most of the parish funerals, and even if she isn’t singing, she attends the funeral Mass. Although Stretz has been a member of St. Charles for the past 60 years, her life began as Eleanor Diamond in Nativity B.V.M. Parish in the Port Richmond section of Philadelphia. 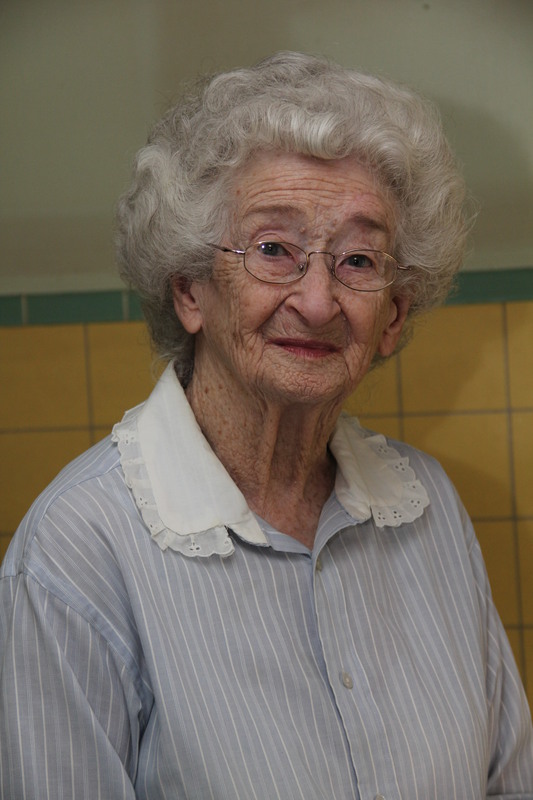 After graduating from the parish school she went on to John W. Hallahan High School, where naturally she was in the glee club and took singing and music lessons, and she graduated in 1937. She worked for a bit as a stenographer at St. Joseph’s Hospital, and met her late husband William at a neighborhood parish dance. They married in 1941, around the time the United States became involved in World War II. William was drafted when they had one child and another on the way, and that was a fearful time when he was fighting in Germany. But fortunately William came out unscathed, and if anything, picked up an interesting hobby in the service — motorcycles. For the next 30 years or so one of Stetz’s fondest memories is motorcycle jaunts on the back of her husband’s motorcycle; maybe up to Washington’s Crossing or the Delaware River Gap. They raised their seven children, Virginia, Janet, Richard, Robert, Joan, Judith and Daniel, all in St. Charles and the parish school and then sent them on to high school at St. Hubert’s, Father Judge, Archbishop Ryan and Conwell-Egan. In time the children blessed them with 14 grandchildren and 10 great-grandchildren, which make for joyous family gatherings. When her husband died five years ago, Stretz just redoubled her parish work. Whatever it is the Lord wants, she is determined to do it. “My faith is the most important thing in my life,” she said.